Wareham, MA (July 10, 2018) – A Monday evening rollover collision on in Wareham left three people injured. The crash took place just before 6:00 pm at 271 Plymouth Avenue. Wareham police, along with the Wareham Fire Department and EMS responded quickly to the crash site, according to emergency broadcast reports. There were two cars involved in this crash. 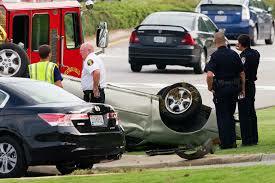 The force of the collision left one of the vehicles lying on its roof in the roadway when officials arrived on scene. There is no word as of Tuesday morning on what might have caused the vehicles to collide with one another. Two people were transported by ambulance to Tobey Hospital for treatment of their injuries. There is no word on the condition of the injured victims or the extent of injuries sustained. Police are still investigating and there are no additional details available at this time.